You can try as hard as you want but I'd still win. I'll make a bot that detects the bot and bans it's owner. What if the bot is called 'kon'? 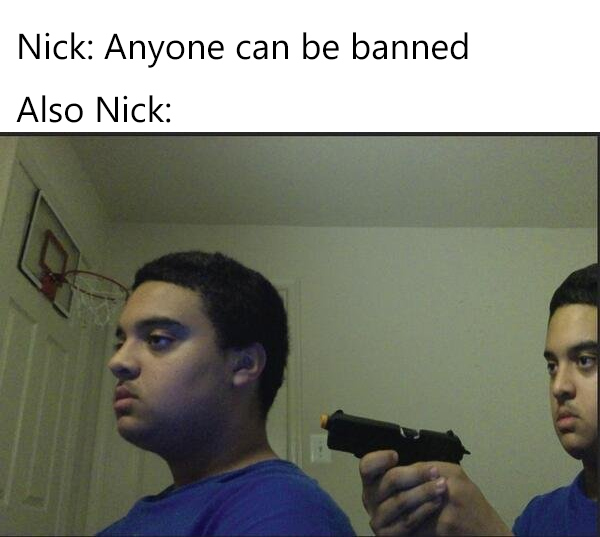 If Nickster learned one thing with his time on ORE, it's that anyone and anything can get bAnNeD. I'm Nickster258 and I stand by this message. I bet you can't ban yourself for one month.